Chinese President Xi Jinping is leaving for an extensive EU trip with state visits to the Netherlands, France, Germany and Belgium from March 22 to April 1, according to Chinese Foreign Ministry spokesman Qin Gang. Xi will also attend the Nuclear Security Summit in The Hague, Netherlands, from March 24 to 25. Chinese Foreign Minister Wang Yi had said earlier this month that Xi’s visit would focus on enhancing economic ties between the two economic powerhouses. “We also hope to speed up negotiations towards a China-EU investment agreement, with a view to future free trade arrangements between China and Europe,” Wang said. 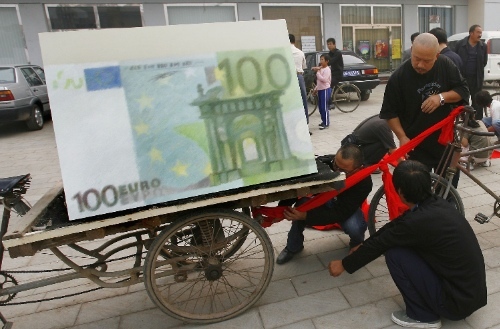 Trade between Europe and China has doubled since 2003 to more than $1.3 billion a day, but China receives just 2 per cent of the EU’s investment abroad. Recent trade disputes on telecom equipment, solar panels, wine, polysilicon etc have strained ties between China and the EU. However Chinese Premier Li Keqiang said on Thursday that trade disputes are individual cases and account for a small percentage in two-way trade. “As long as the two sides respect each other and engage in proper consultations, problems can be solved,” Li said. Beijing is pushing for Chinese equipment exports to EU. Li on Thursday said Chinese companies can deliver equipment for building high-speed railways and nuclear plants in the fastest way and at minimum cost. China is upgrading its economy, including exports, he said. “We can’t just export toys, apparel and shoes,” said the Chinese Premier. According to a Wall Street Journal report published on Friday, China and the EU will announce a landmark trade deal at the conclusion of the Chinese President’s visit. “The settlement would end the threat of punitive import tariffs by the EU on mobile telecommunications gear exported by the Chinese firms Huawei Technologies Co. and ZTE Corp. In return, China would ensure access for European equipment suppliers to the vast Chinese market. Beijing would also drop the threat of punitive tariffs on European wine and polysilicon, these people said,” noted the report. Meanwhile, the Chinese president is also scheduled to visit the headquarters of the UNESCO and the European Union on 27th and 31st March.